« Kids World Map is launched for your iPad! 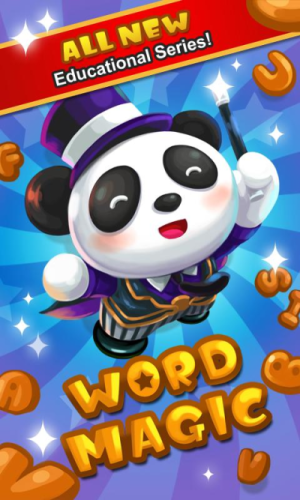 Here comes a brand new educational series: Word Magic! Dino is your inexperienced and wacky little assistant. He is always forgetting to fill in the letters of each word! Dino needs you to be a bright little bulb and complete each of the words by filling in the correct letter based off of a picture. Every letter is crucial to make this magic show work! Word Magic incorporates a magic theme, using this experience to boost learning new words by engaging your child in an interactive game. Using Word Magic regularly will help improve your child’s visual recognition and spelling ability. Allow this fabulous application to take your child on a glittery and magical ride. It is well suited for children 3 to 7 and up. When a new word is played, stars will burst right out of a hat to read you the word that matches to the object. Your child will be challenged to fill in the blanks. Every five words, your child will be rewarded by one of our favorite secret magic shows. There are over 20 of these shows! There score card features will let you know which words were answered correctly. 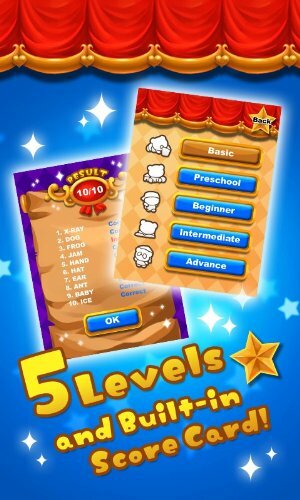 When you have unlocked a level, you can instantly access a new set of words. The most challenging levels can get up to four letters missing. 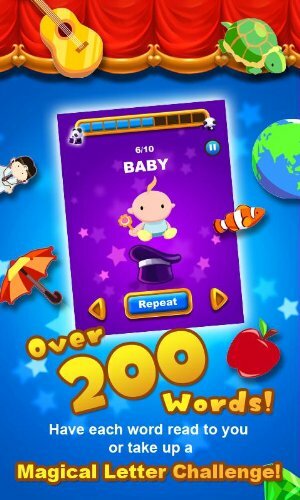 If there are new words your child would like to learn, you can enter “Learn” mode and play the word list and have Word Magic read to you as many times as you wish. Word Magic is free to download. There is no better way to fuse learning new words with magic, join us today for a fun and magical learning experience. Learn new words like never before! Print article This entry was posted by babyadmin on March 1, 2012 at 3:33 pm, and is filed under Amazon, Android, News. Follow any responses to this post through RSS 2.0. Responses are currently closed, but you can trackback from your own site.